Stravara Mas: Spyro Cooper? - You Betcha! 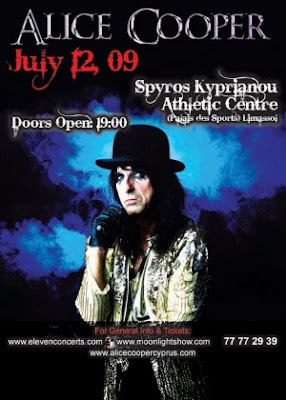 Who would have guessed that Spyro's name would appear on a poster together with the picture of Alice Cooper ? Yes, he was always scary and funny at the same time. Tassos and the Belgrade Cowboys....? It was a happy times. Put FUT 16 Coins,FIFA 16 Ultimate Team Coins on the google.